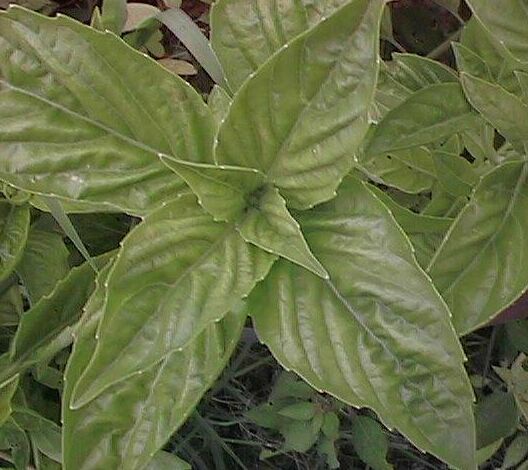 A fragrant, all natural, delicious mix of spicy Thai chili peppers and sweet basil leaves. The chiles have high heat, so just a tablespoon will really make you sweat, but the heat is balanced by the rich aroma of sweet basil. Use sparingly for lower heat. Simply spoon this out of the jar into any vegetable or meat stir-fry to create a simple, authentic Thai meal. We like this with seafood (clams, squid, etc). Packed in a glass jar. 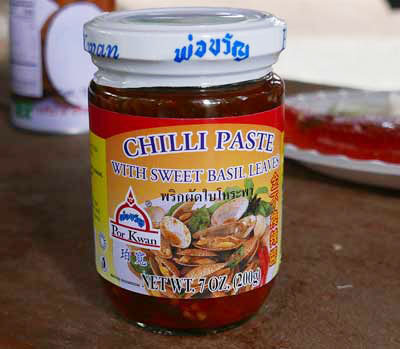 Ingredients: sweet basil leaves, soya bean oil, chili peppers, garlic, salt. Product of Thailand.